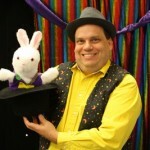 Comedy Magic–All of our magic shows are comedy magic shows. 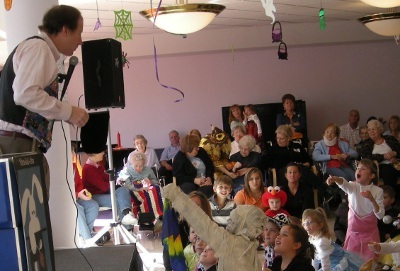 We get your guests laughing and enjoying themselves. 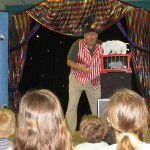 Audience Interaction–Our magic show is big on audience participation. 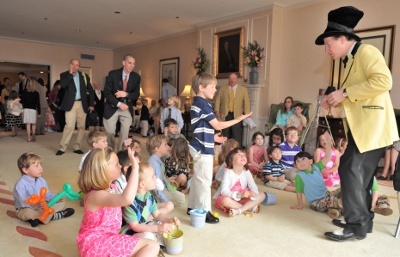 We get your guests involved and engaged–not dozing through a succession of dull card tricks! 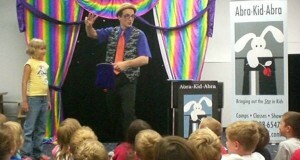 Tailored to Age Level: Our magic show for 8-9 year olds is quite different than our show for 3-5 year olds. 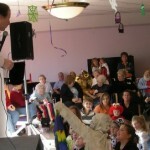 Our magic show St. Louis is geared to the age of your audience. 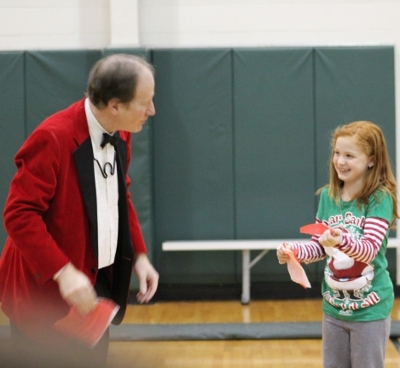 Before & After: Strolling, close up magic is a great way to warm up the crowd pre-show. Post-show we can teach your guests magic they can do, and even provide take-home tricks! 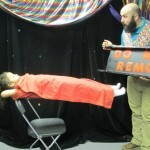 Big Show: For a bigger production, we can set up our theatrical backdrop and include some larger illusions. 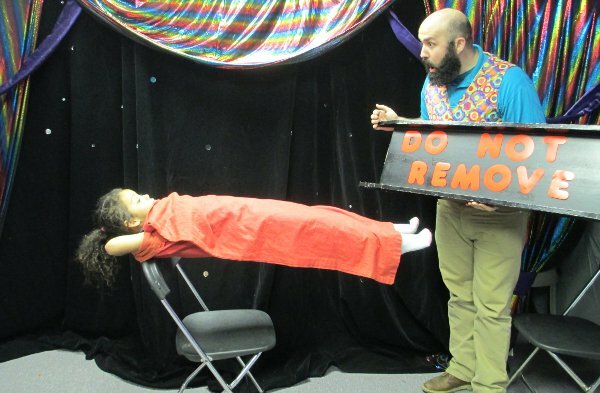 For instance, magically producing the guest of honor, and suspending someone in mid air can be part of your magic show St. Louis! 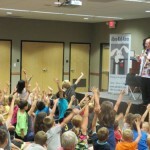 Themed and Educational Magic Shows: We offer 29 different magic shows! Why? 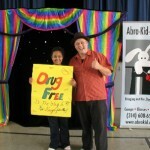 To better fit in with and enhance your event. We have a holiday-themed show for holiday parties, a scout show for cub scout events, educational shows to teach different concepts, etc. Holiday themed magic. Can include Santa magically appearing! or Harvest Show. 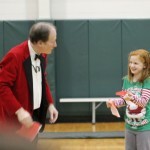 What a perfect season for a magic show! 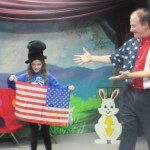 Our I Love America Show is also great for Memorial Day and Labor Day. 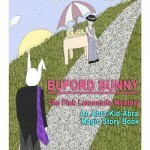 This features tricks with the Easter Bunny, Easter eggs, and Easter treats. 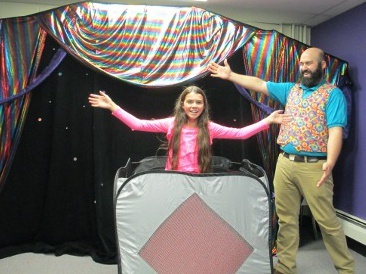 Comedy magic with your child, the star! 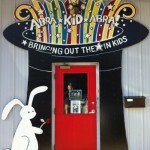 Balloons, goodie bags, magic workshop, and a giant wand magic set for your child! 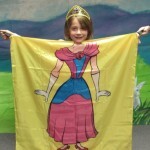 Your princess will feel special as she makes magic happen! Princess goodie bags, balloons, & learning princess tricks! 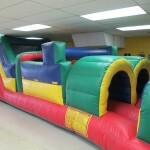 Inflatables and magic–2 of the funnest kids activities–in 1 great party. Plus, at the end, you walk away and we clean up! 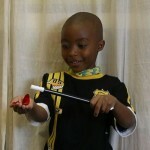 We teach the kids to put on a show for their parents at the end of the party, starring your child! We video the show for you to enjoy. 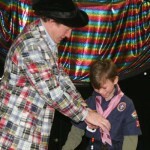 Cub Scout themed show, including neckerchief cleaning gone awry! 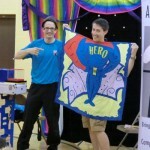 Inflatables, magic show, workshop, game show, take-home tricks. 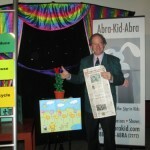 Professional magic show, kids learn magic, kids star in their own show! 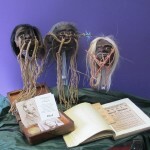 Puppets perform magic. 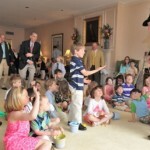 Kids get their own puppet & learn a routine. 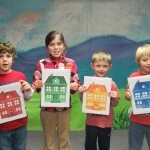 Teaches strategies if you encounter bullying, and how to make your school a bully-free zone. 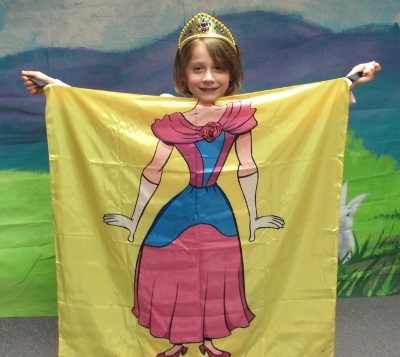 Reinforces your school’s character pillars, each highlighted by a different magical routine. 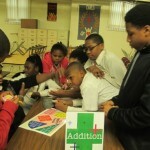 Helps make your school drugfree and innoculate students against alcohol, drugs, and tobacco. 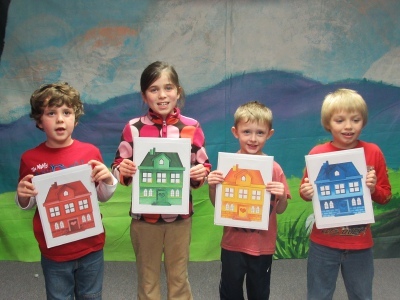 A fun, magical journey through many of Dr. Seuss’ wonderful, classic books! We recount the story in the book we authored, using magic to illustrate key parts. 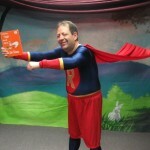 Super Reader’s magical, madcap quest to capture the elusive Music Maniac! 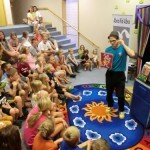 Comedy magic designed to motivate kids to read and check out books! 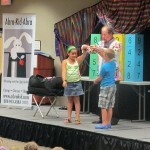 This comedy, math-based magic show is designed to excite kids about math, and show how much fun math really is! 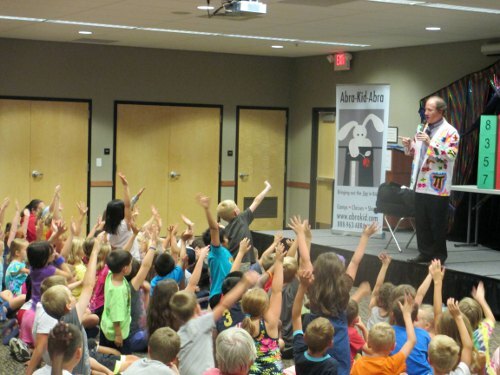 The math magician performs jaw dropping mental feats of arithmatic–then reveals his (math) secrets for kids to use! 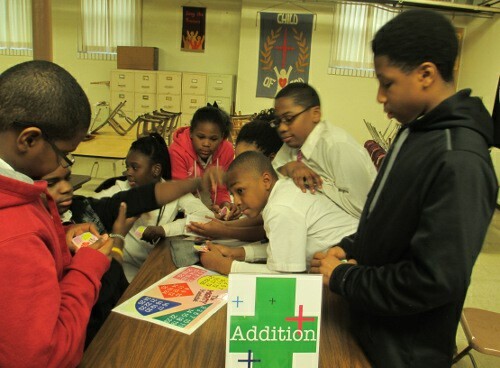 In groups, students rotate through stations, trying to solve a variety of math magic challenges. Fun, hands-on learning! 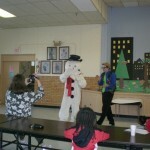 Comedy magic themed for Frosty’s Birthday, with Frosty himself appearing for the finale! Dental Hygiene Tips taught via comedy magic. Great for Feb–Dental Hygiene Month. 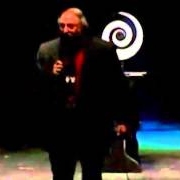 Key environmental learnings illustrated memorably via magic. Great for Earth Day. 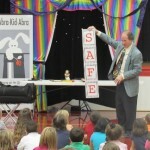 Teach your kids safety tips they’ll remember, using magic to convey them. 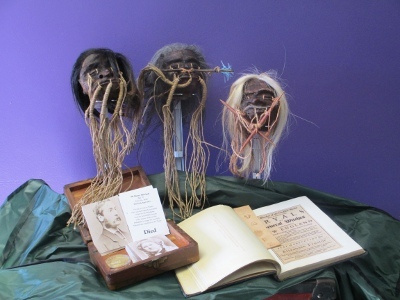 Using actual artifacts, we tell a series of stories about eerie historical events–The Titanic, Salem Witch Trials, … During the stores, unusual things happen. Great for teens and Halloween. Ever wondered how it is that magic fools the senses? Find out during this informative, entertaining presentation that is part magical demonstration, and part psychological principles. 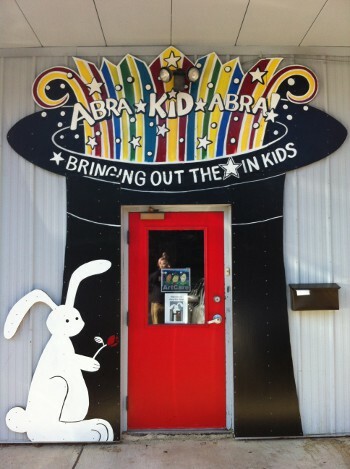 St. Louis, MO is where Abra-Kid-Abra is based; hence we present our magic shows in Missouri, Illinois, and Indiana much of the time. Arkansas and Iowa we visit, as well as Kentucky and Tennessee, and sometimes Kansas and Oklahoma as well. 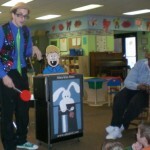 For more info, or if you would like to schedule a magic show St. Louis, please call or email us. We look forward to working with you.